2. DC 12V power supply (please make sure the power supply is right), 2 pins connector. 3. 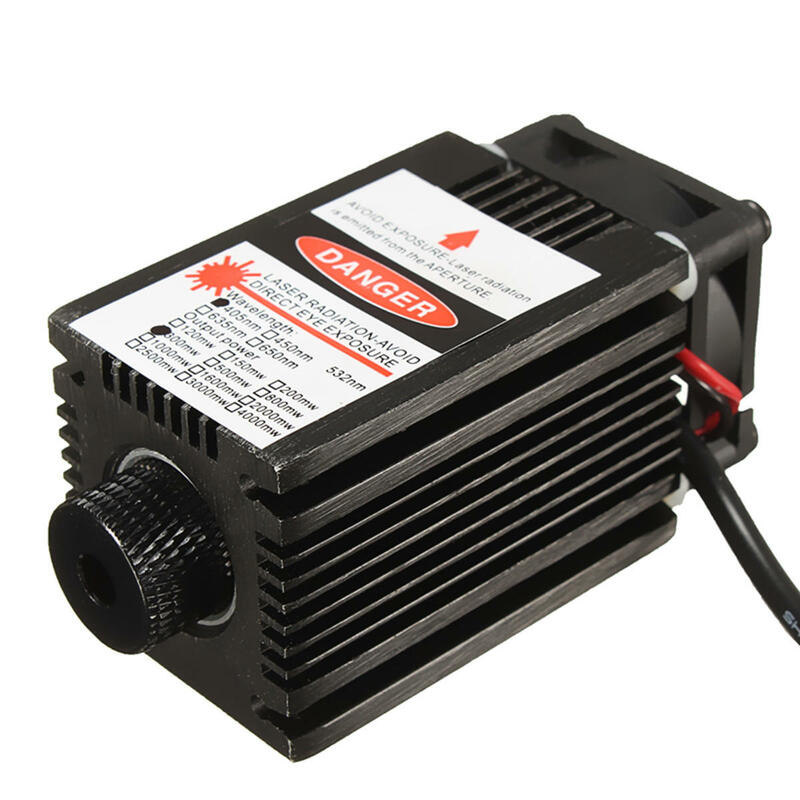 Aircraft aluminum heatsink with cooling fan ensure long working time continuously. 4. Equipped with constant-current driver board ensure stable output optical power, suitable for industrial engraving machine equipment usage. 2. Please note that the laser module should work for less than half an hour in one time. And then continue to work after cooling down to ensure the period of use. 3. The warranty period of laser module is one month. If you have any quality problem(Except individual situation like using the laser module more than 30 minute one time and casue the damage), please feel free to ask our customer service for a help. Thank you.